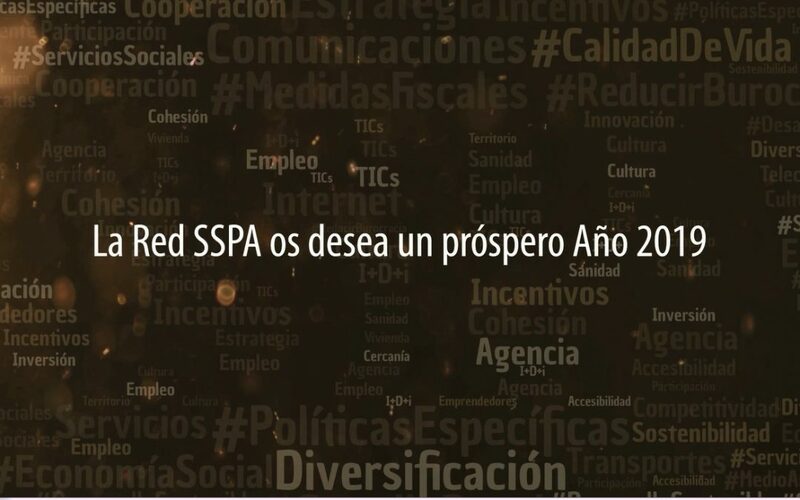 From the SSPA network we wish you with this video a prosperous year 2019, in which we advance together with solutions to the demographic challenge. 2018 has been full of hard work and we have made some important steps in the face of the challenges that affect less populated regions. In 2019 our commitment is to continue working with the same dedication and dedication to promote, in collaboration with all the public administrations and the main socio-economic actors of the territory, policies and specific measures that sparsely populated areas deserve. From SSPA we wish you a prosperous new year!